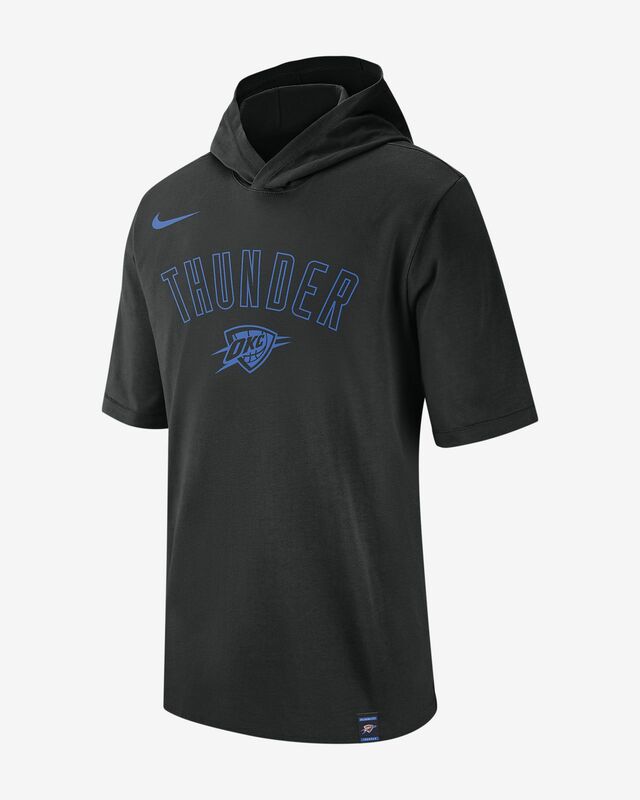 Cheer on your team in total comfort with the Oklahoma City Thunder Nike Men's NBA Hooded T-Shirt. Made from soft cotton, it offers the lightweight feel of a tee with the coverage of a hoodie. A HOODED T-SHIRT TO REP YOUR TEAM. 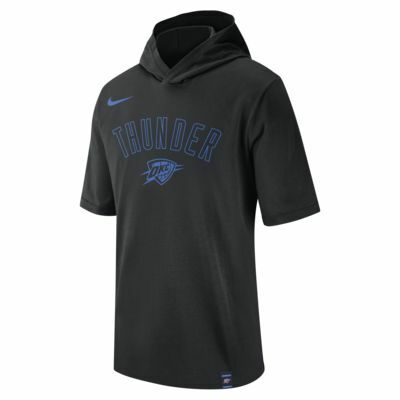 Cheer on your team in total comfort with the Oklahoma City Thunder Nike Men&apos;s NBA Hooded T-Shirt. Made from soft cotton, it offers the lightweight feel of a tee with the coverage of a hoodie. Built-in hood offers extra coverage.